Doing your research to find new ink is a time-consuming hassle, especially if it means having to go to an array of companies. However, replacing 4350 print cartridges shouldn't end up being a nerve-wracking time. Order your HP 4350 printer cartridges now from Cartridge Save and you'll save more than simply valuable time, you'll also save some money! Completely free delivery comes as a part of the deal with every purchase if you purchase cheap HP ink from us. All HP 4350 ink supplies at Cartridge Save always are protected with our money back assurance. If perhaps you encounter difficulties, merely send back your order to get a full refund! Don't miss out when prices are so cheap! This all-in-one printer is designed to fit small offices and enhance productivity with features like the auto document feeder and the speedy fax machine. While it promises better and laser-quality prints, the HP Officejet 4350 it is not the fastest printer around and it is a little outdated with its sheet-fed input tray and when being used with newer operating systems. The HP Officejet 4350 looks bulky and large at first glance, but it is quite compact at 7.1 inches tall, 8 inches in diameter and almost 17 inches wide. The device is almost easily mobile at 12.1 lbs, and it does not take up much space on a cramped desk or small shelf. Its interface is designed to work as a standalone copier and fax machine, so users do not need to buy separate devices any more or connect it to the PC. The HP Officejet 4350 uses HP's colour thermal inkjet technology but with laser printer-like quality. The price is one of this printer's selling points because it is affordable to own and run. It is also praised for its size and for being capable of scanning to PC-based email. The copy and print speeds at maximum in monochrome is 20 ppm, and 14 ppm in colour, while the enhanced 19200x19200 dpi scanner ensures better quality output on scanned documents and texts. 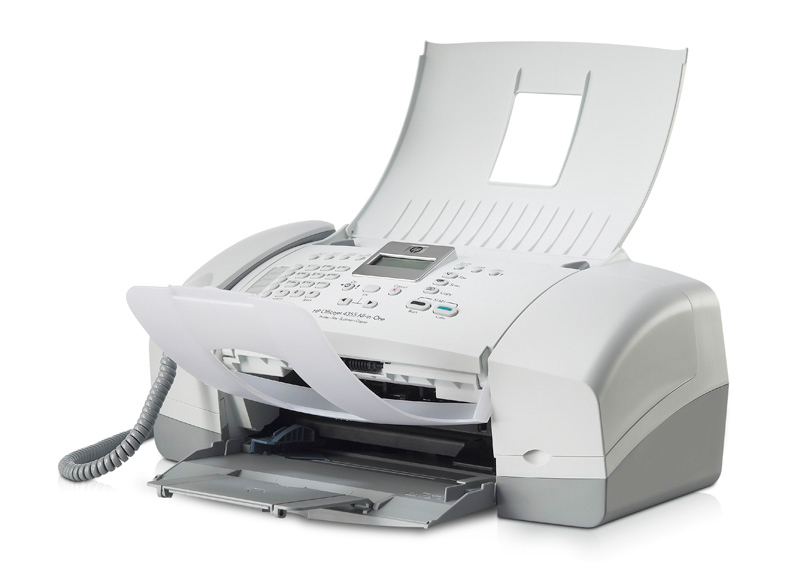 The Fax machine can accommodate up to 200 pages in its memory and transmit messages at 33.6 Kbps. Fax forwarding and automatic redialling are also included in the user-friendly HP Officejet 4350. Using the HP Officejet 4350 for phonecalls is not a good idea because the quality is not very clear, so users would have to buy a separate telephone for making and receiving calls. Despite laser printer-quality prints, the overall quality is still sub-par. The sheet-fed interface limits the HP Officejet 4350 from handling speciality paper, limiting it to standard paper types only for basic printing needs. Users are better off with another multifunction printer with a flatbed scanner if they want a more versatile machine. When printing in normal mode, the printer is very slow and takes up too much time.